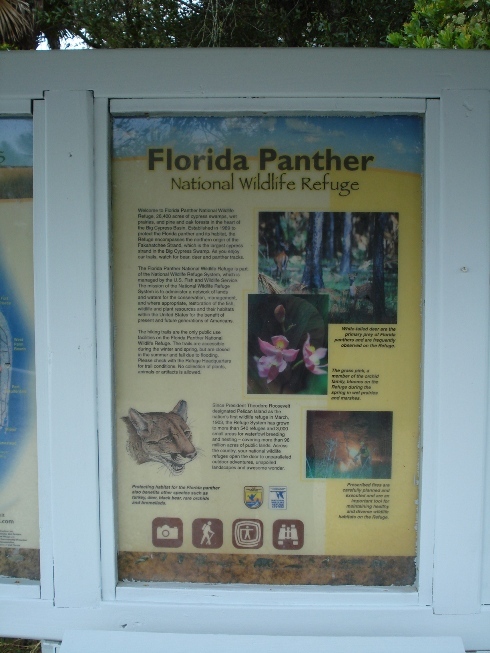 This kiosk is at the refuge hiking trial, out in the remote area of Alligator Alley (I-75, Exit 80) and state highway 29. The parking area is surrounded by a fence and closed at night. 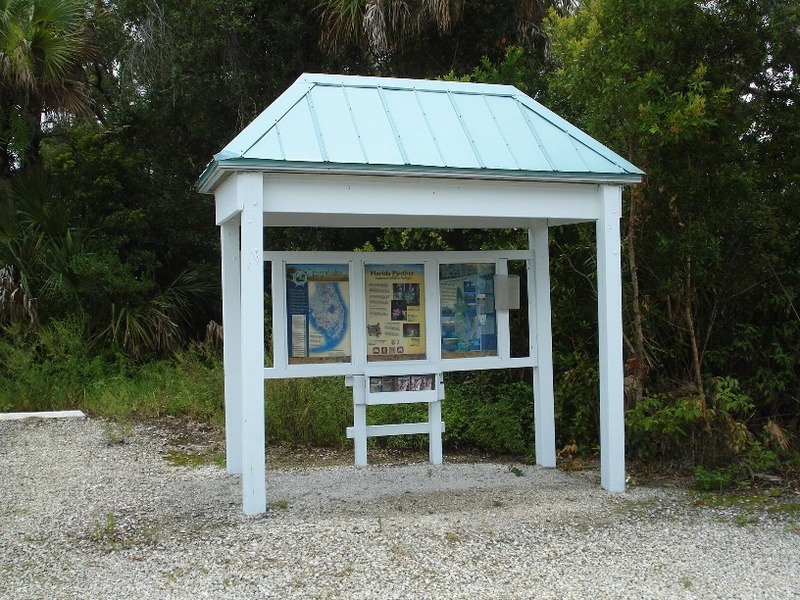 This is the only public access point available on the preserve. 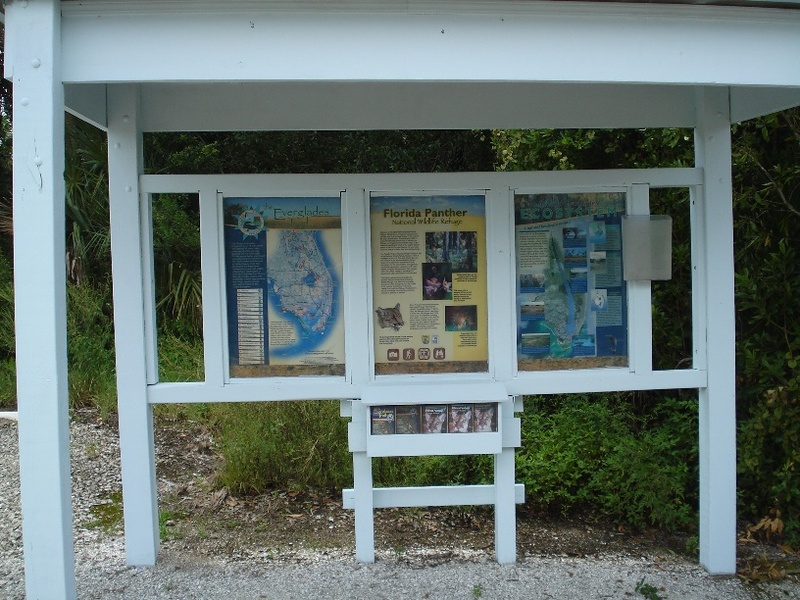 One thing that I have enjoyed seeing is that the brochure box has also been utilized to hold refuge pamphlets besides the regular trail brochures.